Bara Barang means make tomorrow. Experience Aboriginal culture, Share Aboriginal dreaming with Bara Barang Aboriginal Tours. 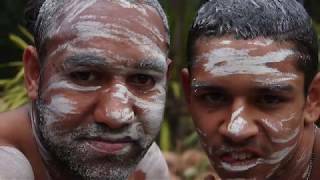 Immerse yourself through a journey that will take you across the beautiful Central Coast of Awaba/Darkinjung country as you will awaken all the senses of the mind, body and spirit in a unique Aboriginal Cultural Experience. It's a hands-on sensory spiritual tour which you will touch, see, hear, smell and taste everything Bara Barang has to offer! Their Aboriginal tour guides will take you through many of the beautiful scenic beaches and lookout points while enjoying the natural features and landscapes. Experience ancient local Aboriginal rock engraving sites and they will share some of the pristine rainforest experiences with stories through Aboriginal eyes. The tour will include morning tea and lunch with a traditional bush tucker cuisine. Please bring water, hats and sunscreen. Dress casual.